"In like a lion and out like a lamb" - that&apos;s the old adage about March. With that said, there is a ton of stuff happening this month in the Peoria area including: IHSA tournament and St. Patrick&apos;s Day to name a few. 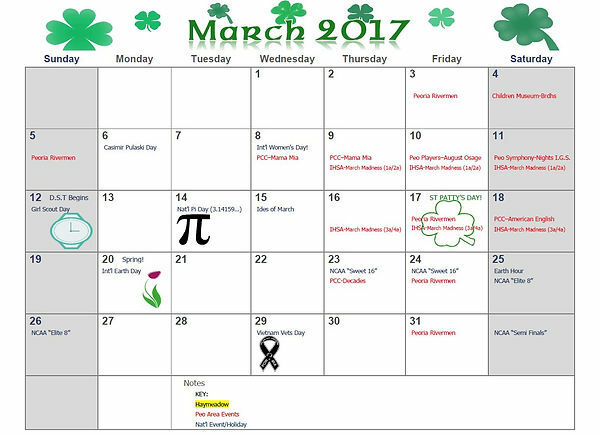 Check out our "Events Calendar" for more info AND LINKS to events!